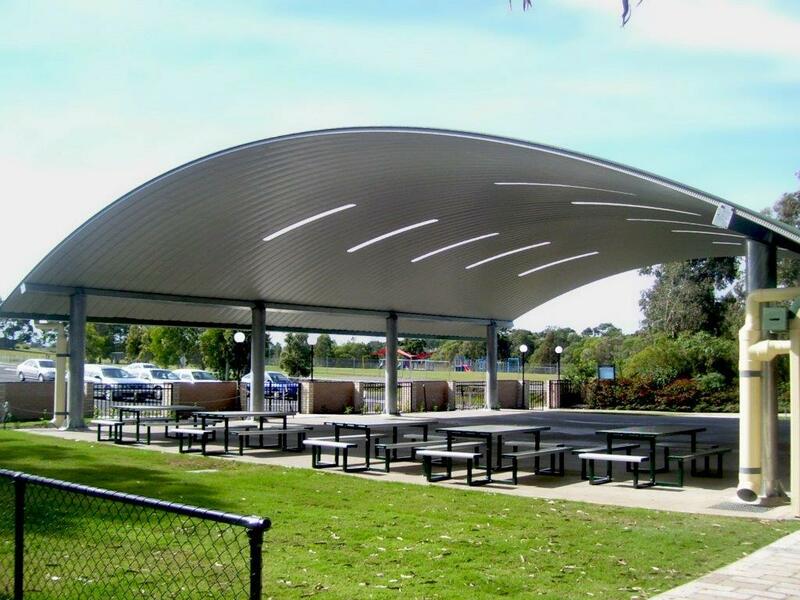 Design and construction of a multipurpose shade structure. 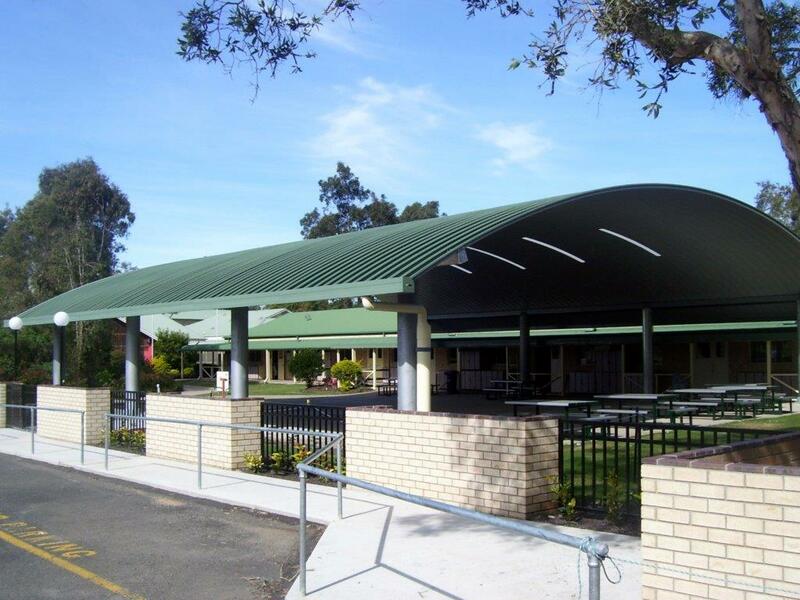 Spantech designed and constructed a 20 x 20 metre shade structure to provide a multipurpose learning area and a safe, weatherproof waiting area at the front of the Carbrook Campus. The building is constructed over a former creek and required extensive ground works, drainage and special footings to ensure a sound, weatherproof structure. Landscaping work was completed by the grounds staff at the College. 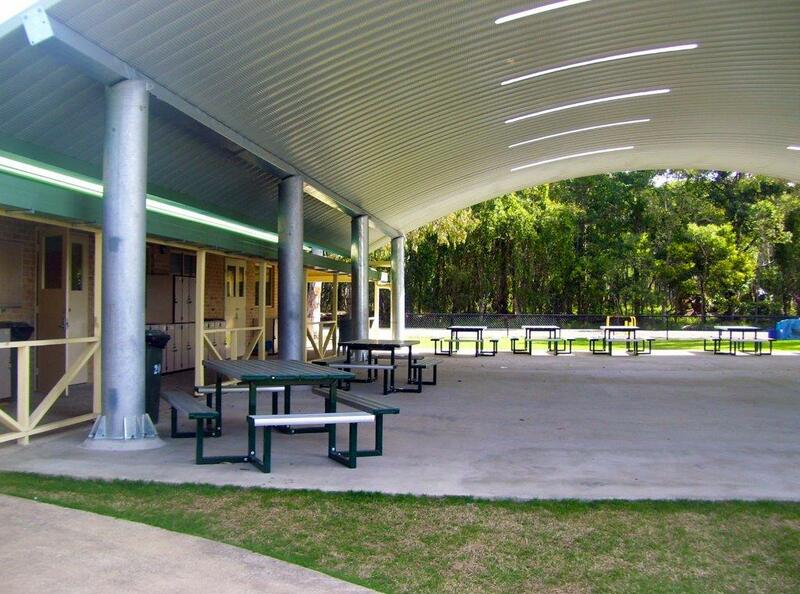 Spantech design and construct the Spantech Covered Area and a small Lunch Shade Cover in the centre of the school. Read more. 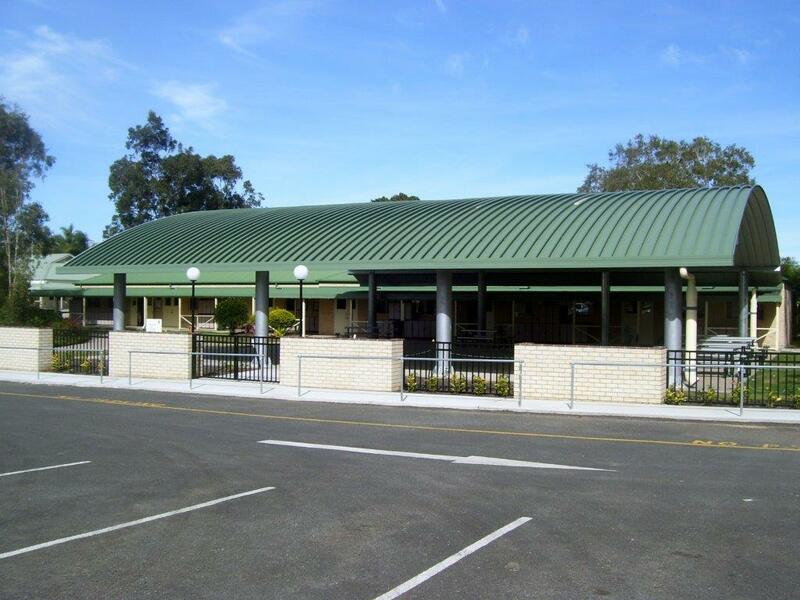 Spantech was nominated to supply a 370 Series curved roof and insulated ceiling for the covered sports centre. The facility includes two basketball courts and a large raised deck which can be used as a stage or covered learning area. Read more.